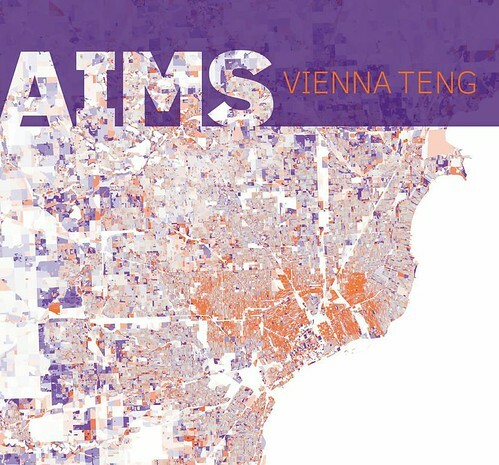 So let’s say it for her: Witness the musical rebirth of Vienna Teng with Aims, an album on which she not only brings emotion and innovation but also euphoria and intelligence. The album, her first full length since 2009’s Inland Territory, will be released September 24 and has been years in the making. But then Teng, whose results from an IQ test taken at age 4 remain her father’s secret, has had a lot on her brilliant, beautiful mind. Not willing to rest on her laurels or stay glued to her piano bench, Teng parlayed her sense of adventure and thirst for knowledge into a role as graduate student at the University of Michigan’s Erb Institute, a partnership between the School of Natural Resources and Environment and the Ross School of Business. “I have an interesting relationship with the piano because, of course, I’ve played it almost all my life,” she said of the instrument where most of her previous songs have emanated. She vows to eventually return to a “simple” piano/vocal album, though anyone who studies Chopin preludes and composes for theater musicals (The Fourth Messenger) in her spare time does nothing simple. Now, though, it’s time to celebrate Teng’s renaissance. Relying less on the piano (on about half the tracks) and more on producer Cason Cooley’s loaded computer of sound libraries that range from African drum beats to orchestral instruments, Teng was thrilled to enhance songs dealing with heady subjects (Occupy Movement, Body Identity Integrity Disorder, privacy issues) that will challenge listeners. Feeling comfortable using a looper live or while writing songs such as “Copenhagen (Let Me Go),” the avowed night owl would often spend hours in front of the computer with her producer piecing together sounds that didn’t seem like electronic gimmickry. The album breezes by with a tuneful approach that blends classical gas (“Oh Mama No”), steady bursts of percussion (“In the 99″), lovesick power pop (“Flyweight Love”) and a glorious a cappella performance that’s almost all Teng (other than hitting what she called the “Barry White button”) on “The Hymn of Acxiom,” which turns into an eerie reflection from Big Brother’s point of view. That’s a lesson Teng apparently learned early in life. Born in Saratoga, California, to Chinese parents who grew up in Taiwan, Cynthia Yih Shih decided at the age of 12 or so to make a new name for herself. (Vienna from the Austrian capital; Teng from the late Taiwanese pop singer Teresa Teng). But even as early as 1 or 2, she said her father Mien and mother Nancy were amazed by Cynthia’s sense of rhythm and sense of pitch when she sang. “She’s like, ‘It’s such a funny thing to say because it’s not what we named you,’ ” Teng recalled of such an instance. Her courtship with Detroit, she joked, was “almost an arranged marriage kind of thing” since she knew little about it after years of living in the Bay Area and, more recently, New York. Teng isn’t a homeowner yet (“I’m currently enjoying paying less in rent for more space than I ever have before,” she said, laughing), but one day plans to be. Asking for submissions to record various voices for an intro to a song that celebrates “unconventional relationships,” Teng was inspired by the “poignant interviews” heard on Simon and Garfunkel’s “Voices of Old People” that led into “Old Friends” on 1968’s Bookends. Now some of her friends — new and old — are giving back by literally buying into what she has to offer. “I think the generosity and the magnitude of that is still sinking into me,” Teng said, knowing there are fans throughout the world — including an Australian backer who donated $5,000 — just dying to see her perform. Two friends, both talented multi-instrumentalists, will join her. 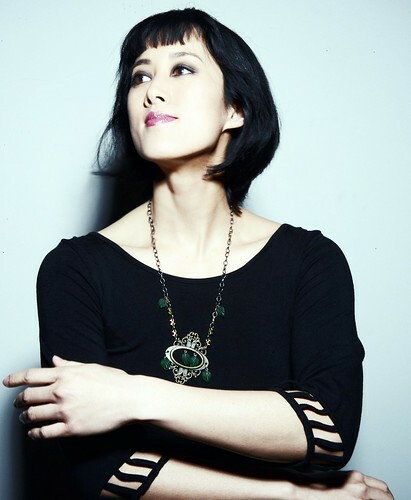 Alex Wong, who produced her previous album, cowrote and sang on “The Breaking Light,” a peaceful piece with sounds of chirping birds that are actually real. Nashville’s Jordan Hamlin, who studied classical French horn but also plays bass and electric guitars, accordion and more, is so versatile that she tours with an assortment of artists that have included the Beach Boys, Etta James, Missy Higgins, Michael Bolton and Brandi Carlile.